“Laurel can’t do it. This challenge is over,” Jeff Probst said during the penultimate episode of Survivor Ghost Island. He was talking about the reward challenge, but he might as well have been talking about this season and the challenge of unseating Dom and Wendell as the inevitable final two. Although there was some mild intrigue, Dom and Wendell are in such control that those who could band together and target them are instead going after each other: Donathan wanted to work with Kellyn, but she turned around and voted for Donathan (to try to save herself) before ultimately being voted out after a tie vote. Kellyn’s exit didn’t feel all that consequential to the game, but it was lovely to watch and I missed her immediately because of how genuinely she responded to her fellow players in that moment, and then again in her exit confessional. She was full of joy and gratitude, and I wish I had more of that toward this season. The most interesting thing that happened was that Donathan, already frustrated, noticed Dom going through his filing cabinet of advantages. He was in search of an immunity idol note to give to Wendell, who wanted it to go with a fake idol to convince someone that was real. Once he found it, he transferred it to Wendell’s bag in a way that would have been less obvious had he packaged it up, called FedEx on a sat phone, and had a delivery vehicle drive it 30 feet through camp and then deposit it into Wendell’s bag while a troupe of clowns saxophones and yelled, Nothing to see here! Dom is especially astute and good at figuring out what’s going on. He’s not a good liar, though. “It has nothing to do with tonight, I promise,” Dom told Donathan, when Donathan noticed. This incident revealed how insanely confident—arrogant?—Wendell and Dom are. “He put something in my bag. Big deal!” Wendell admitted at Tribal Council. What exactly would two Survivors need to exchange secretly between their bags? Love notes? The rift also gave a moment of comedy—or maybe just a validation of my own frustration with the game. 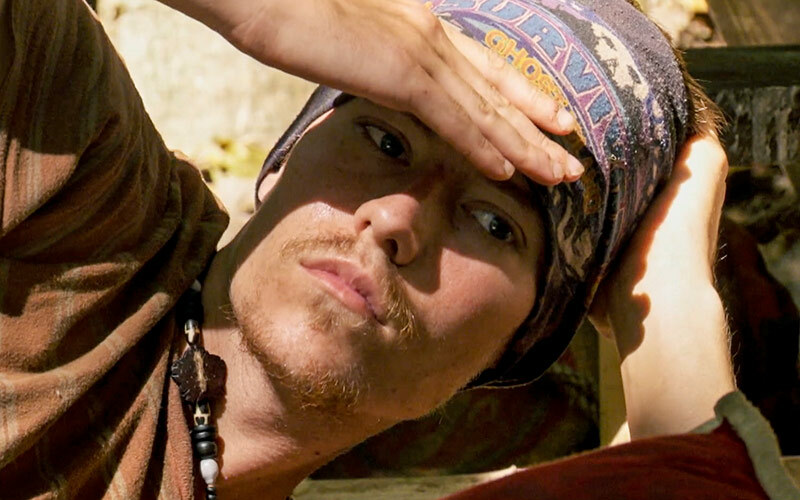 At Tribal, Dom said, “Donathan, can I say something?” Donathan replied, simply, “No.” SHADE. The other moment of drama came at the conclusion of the immunity challenge. I haven’t been very engaged watching challenges, and just don’t care at all about the outcome—perhaps because of the challenges themselves, but more likely because of the way the game is going, and I very nearly fast-forwarded through this one. I’m glad I didn’t. “Oblivious” was the right word, because as it turned out, Wendell finished the puzzle first but forgot to let Probst know, and acknowledging Probst is a crucial part of winning on Survivor. Laurel completed the puzzle next and called for Probst, leading to a tiny bit of tension as Wendell briefly protested and Probst seemed truly blindsided—like he may have blamed himself for a moment there. But there was no recount or going to the tape, as Wendell conceded quickly: “A hundred percent I had it before you, but you called it first so the ruling is that you got it,” he said to Laurel. Earlier, the reward challenge was pitched as being Survivor ambassadors to people who actually live in Fiji, but ended up being the usual sit-somewhere-and-eat-and-talk and have-no-affect-on-the-game reward. The winners did give school supplies and toys to kids, which was very nice, but as television, this was not Ethan Zohn playing soccer with kids. Ghost Island has run out of recycled advantages and is now recycling ones from this season. He played a game and had a 75 percent chance of winning—and he did, receiving the steal-a-vote advantage which now changed into an extra-vote advantage. Survivor Ghost Island is frustrating. And almost over.